I am always up for new and upcoming skin care products. 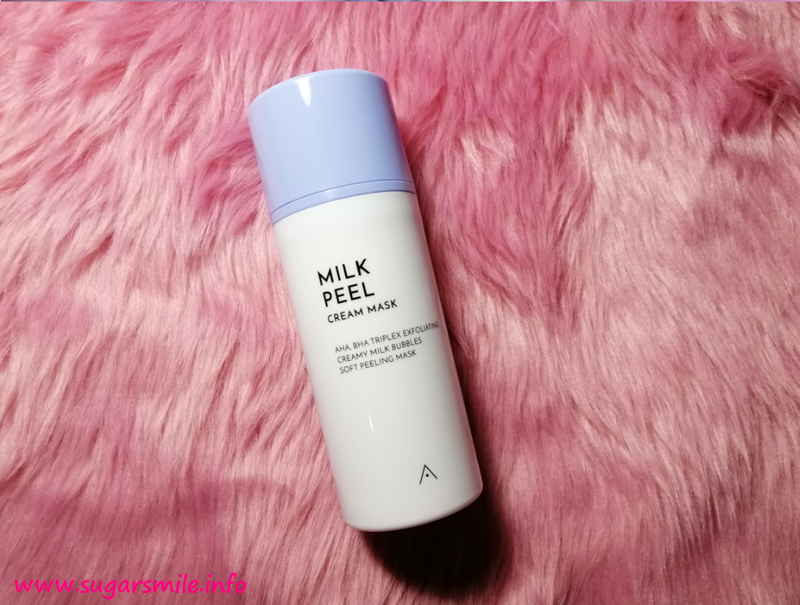 And now, my favorite k-beauty shop, Althea Korea introduces their newest breakthrough in skin regimen, the Althea Milk Peel Cream Mask. It is my lifelong dream to travel the world. And one country that I have in mind outside Asia, is Mexico. It's just that their country has this very colorful vibe, soulful music, and best of all, sumptuous and definitely flavorful food. 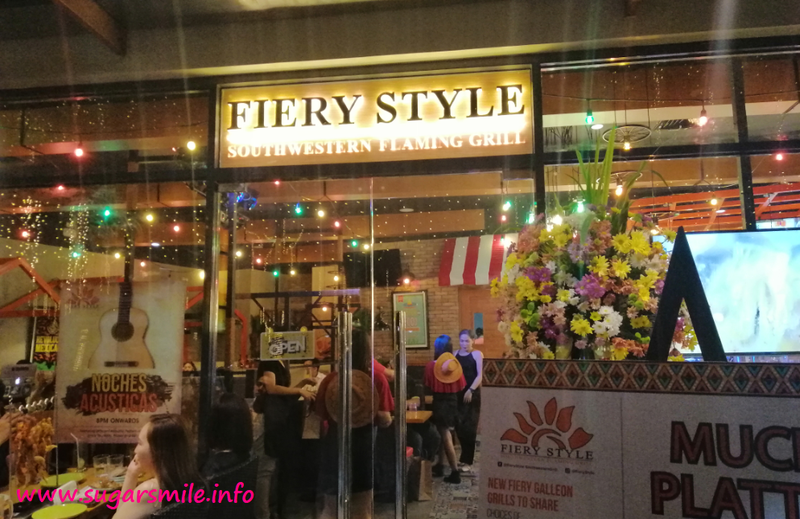 And just recently, I was invited to try out Fiery Style in Capitol Commons, Estancia Mall, Pasig City, where a piece of Mexico comes out to life. 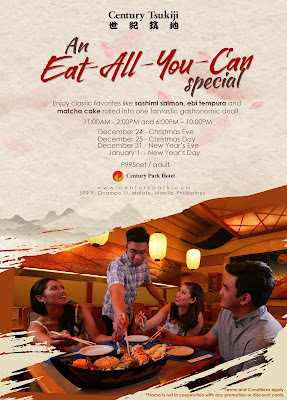 Year 2018 is coming to a close, so celebrate New Year’s Eve, the second merriest day of the year in the Philippines at Century Park Hotel (CPH), one of the finest hotels in Manila. This holiday season, they made New Year’s Eve planning convenient and more exciting for you. Century Park Hotel (CPH), one of the finest hotels in Manila, is giving you more reasons to smile this Holiday season with a sumptuous feast of Japanese cuisine at Century Tsukiji! 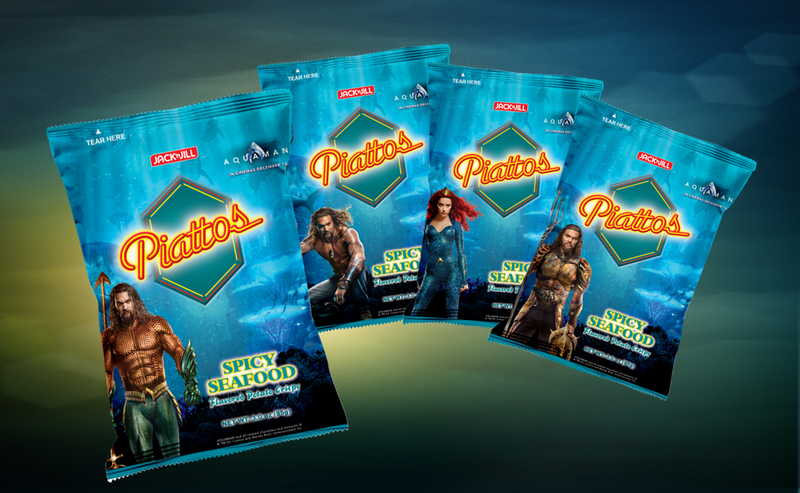 Jack ‘n Jill Piattos brings an exciting way to enjoy snack time with its new flavor, Spicy Seafood. Now, you can delight in your favorite hexagonal potato crisps with the savory taste of seafood with just the right kick of spice. 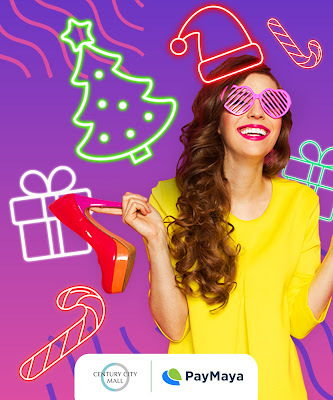 GCredit: Have Yourself A Merry Christmas With 100% Cashback On Your Interest! 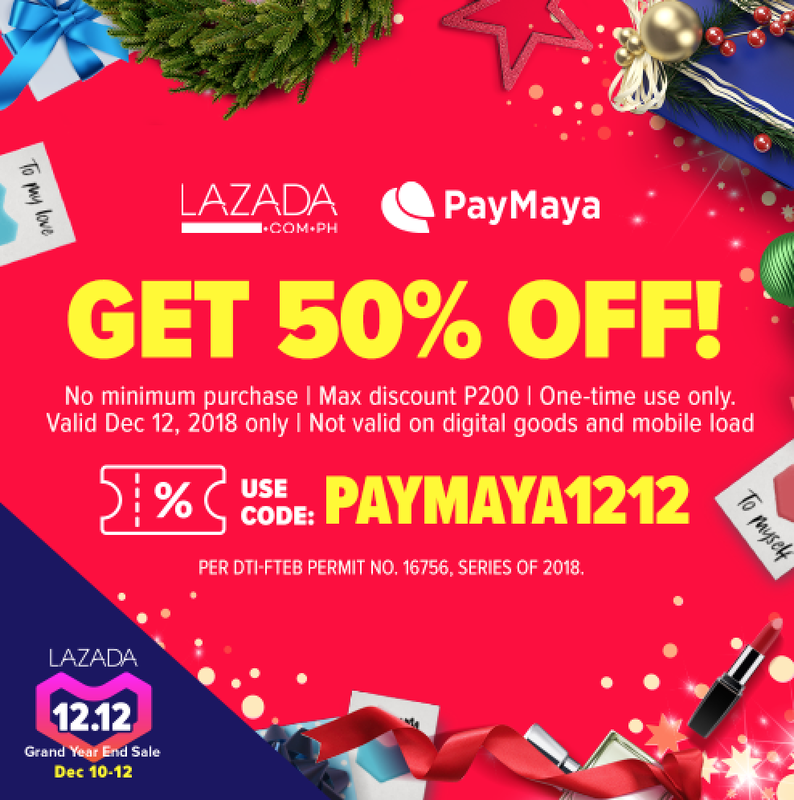 GCash, the country’s leading and most preferred mobile money wallet, and GCredit, it’s built-in, always reliable revolving fund, is giving back this holiday season! When it comes to make-up and skin care, my go-to trend is always the Korean way. Not only they have a thorough skin care regimen, but their collaborations and packaging are #aesthetic and #instagramworthy. And for the past years, Althea Korea, has been helping me get the latest goodies straight from the mothership. Most people desire to always look young. 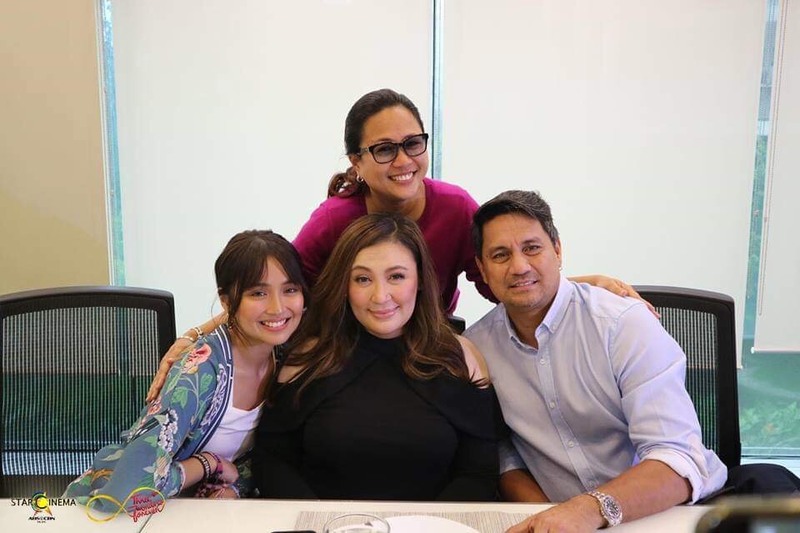 And while some is still in search for the fountain of youth, they would tend to push their limits to defy aging—even if it means taking risks with needle injections. This is what happens with Botox. 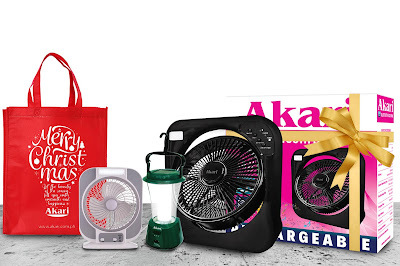 This Christmas, shower your family, friends and colleagues with practical gifts that match their lifestyles. #ShopPaMore This 12-12 with PayMaya! 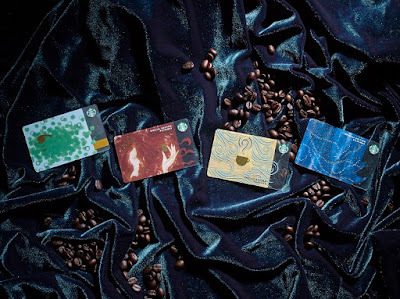 With the holiday season just weeks away, the hunt for the best presents has officially begun. 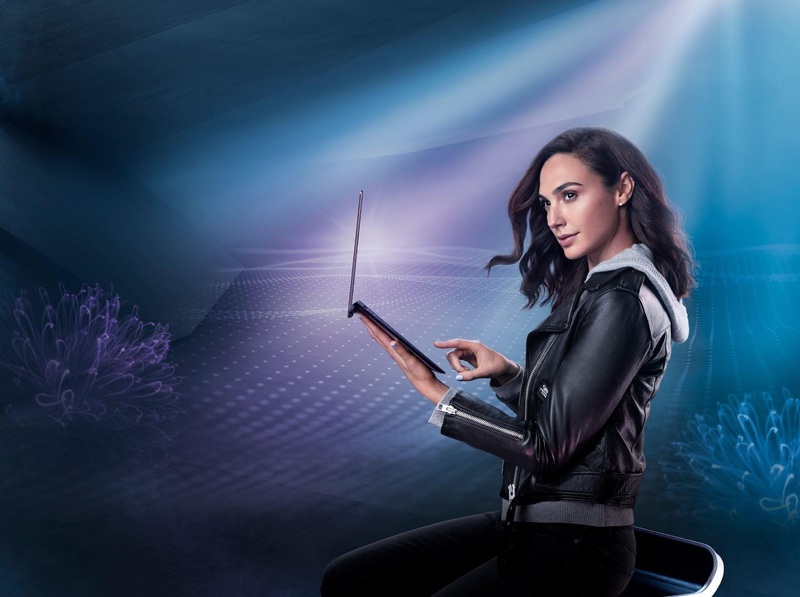 As a leading Hollywood actress, mother, daughter and general all-round inspiration, Gal Gadot ensures she takes the time to get her family and friends the best gifts for the holiday season. 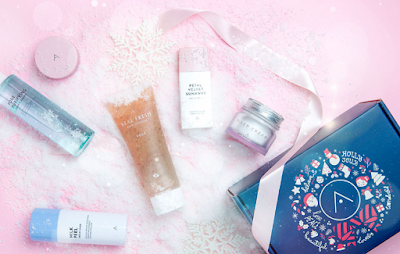 This year, she is providing an insight into the gifts that will be in her shopping bag this year. Century Park Hotel (CPH), one of the finest hotels in Manila, gives you more reasons to be merry this Holiday season with its Christmas Adventure Room Packages. I have a confession to make: I don't love the idea of putting on moisturizers or lotion. You see, because the weather is so humid in the Philippines, lotions make me feel sticky and sometimes, icky. 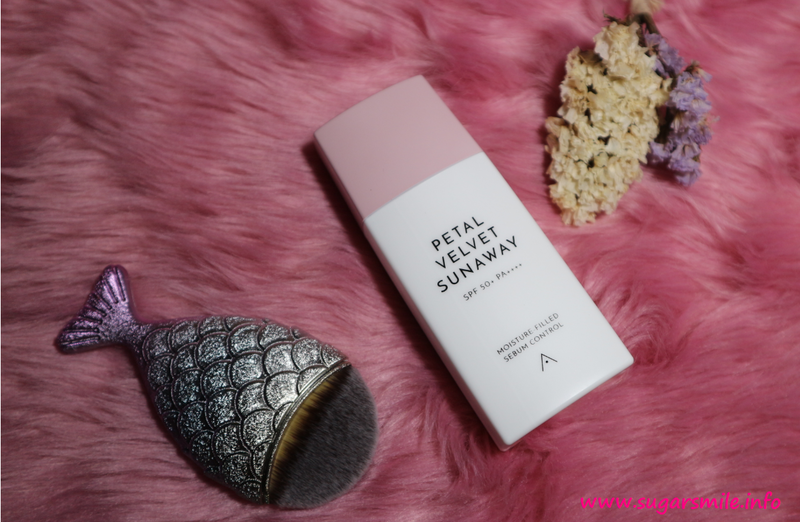 But then there's the exception of a soft and velvety finish like the Althea Petal Velvet Sunaway, and I've been a convert ever since. It is not very often that we hear success stories about motorcycle riders saving lives. Last September, driver-partner Francis C. Belecario became instrumental in the rescue of wounded patroller, PO1 Berlino L. Ricafort in Barangay Kamputhaw, Cebu City. Without any hesitation, Belecario saw the need to bring PO1 Ricafort to the nearest hospital for treatment due to injuries that are life threatening. 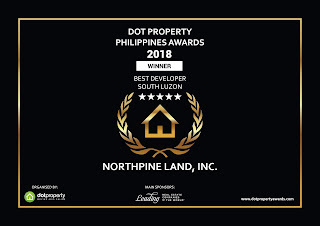 NorthPine Land, Inc. (NLI), with its unceasing endeavor to shape lifestyle communities and the best homes for family living, recently added a feather in its cap. 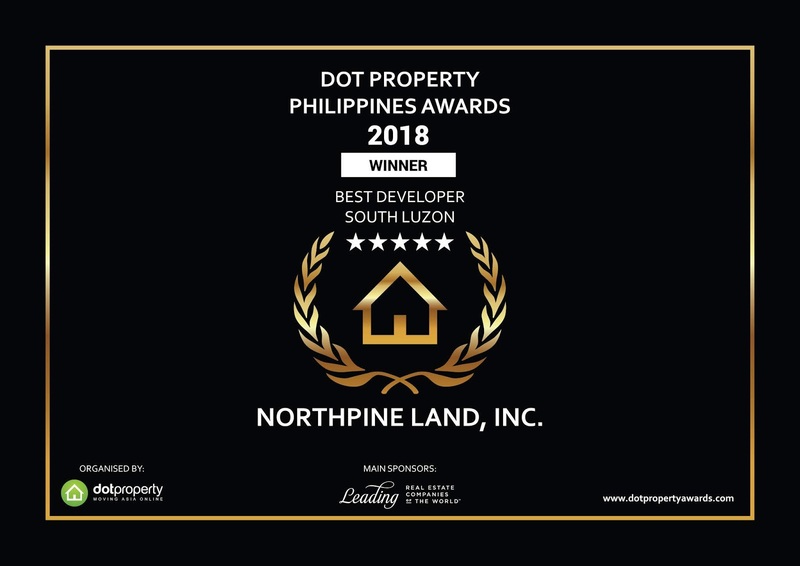 Its exceptional and innovative works which embarked in the South helped the company earn the trust of its market and form a solid reputation in the property development sector. Christmas rushes in and streets slowly become merrily busy with sparkling lights and glistening decors. Jolly greetings start to hang in the air as the yuletide season comes near, ushering in a holiday that celebrates the spirit of giving. 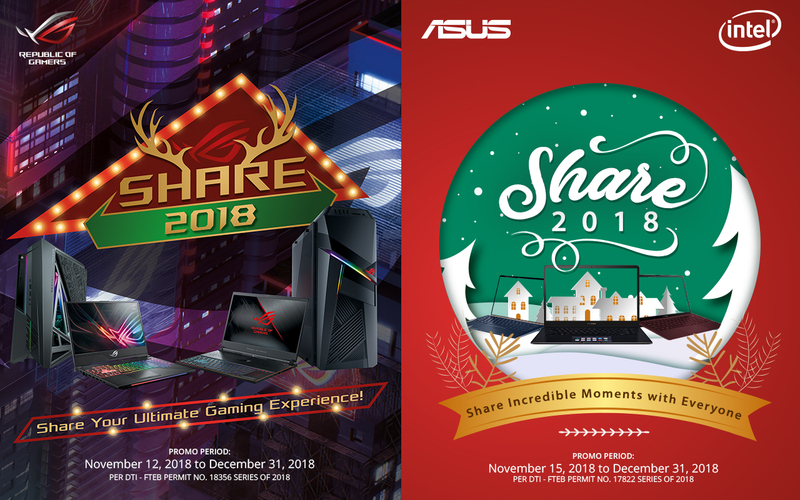 ASUS and the number one gaming brand in the country, Republic of Gamers (ROG) once again takes part in delighting your loved ones with the most exciting gift bundles this year with the incredible Share 2018 Christmas Promo. 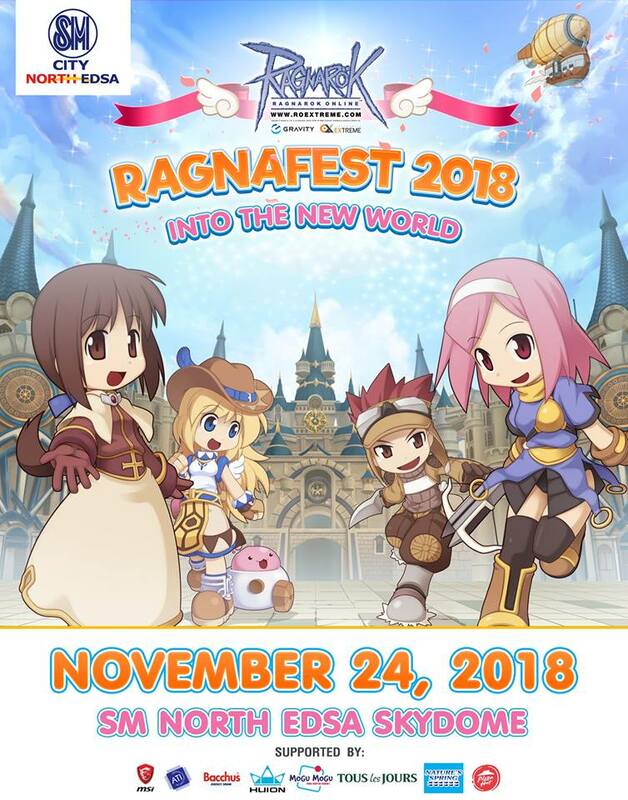 Ragnarok Online players from all over the Philippines gather in the SM North EDSA Skydome to attend Ragnafest 2018, a whole-day celebration of everything that is Ragnarok Online. 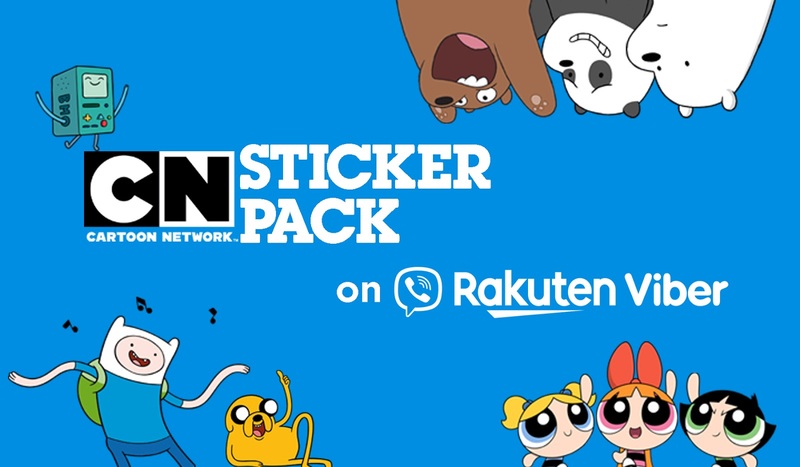 Spruce up your convos with your friends as Cartoon Network and Viber have launched a new sticker pack to add a dose of fun, a dollop of adventure and a truck-load of adorable to your app chat. Accio wand! 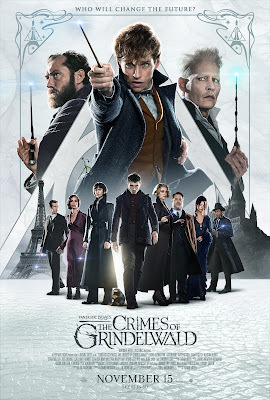 at SM Cinema branches as our new favorite wizard, Newt Scamander is back on an attempt to stop Grindelwald on the newest movie feature, Fantastic Beasts: The Crimes of Grindelwald! 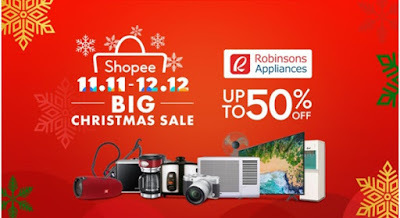 Christmas shopping this early is fun with the holiday season’s hottest and most popular items as Robinsons Appliances joins the biggest online Christmas Sale of the Year - the Shopee 11.11 - 12.12 Big Christmas Sale! Get quality products at affordable prices and enjoy up to 50% off on home and kitchen appliances, televisions, air conditioners, and more. 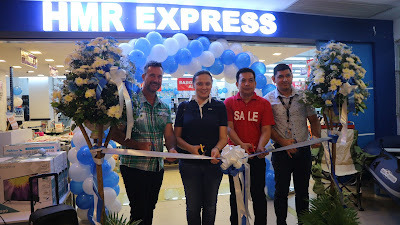 With the number of gamers in the Philippines, making sure that they have the appropriate devices matter. And for their gaming needs, the products that they use should be of the best quality and affordable at the same time. Rapoo Philippines introduced a new lineup of VPRO gaming peripherals to the market this September 2018 that is a result of Rapoo’s great advantage of vertical integration of design, R&D and manufacturing that provides professional and affordable gaming peripherals. 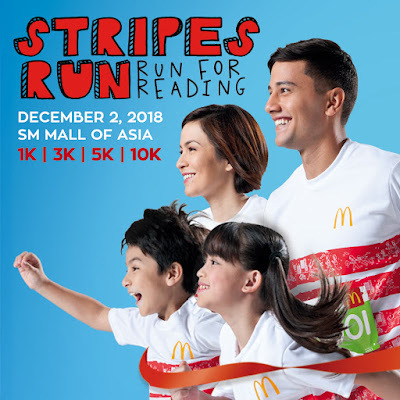 "Whenever I see boys and girls selling lanterns on the street, I remember the child in a manger where he sleeps" - everytime I hear that Jose Mari Chan, I can't help but get the Christmas feels. 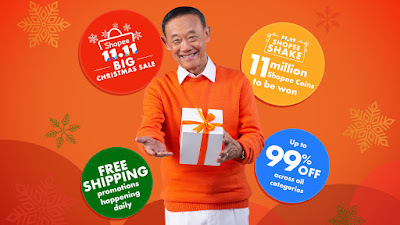 And now, Shopee, the leading e-commerce platform in Southeast Asia and Taiwan, announces Jose Mari Chan as its new Christmas Ambassador in line with the return of the biggest Christmas sale of the year, Shopee 11.11 - 12.12 Big Christmas Sale. Affectionately known as the Father of Philippine Christmas music, the singer-songwriter made his debut as the official Shopee 11.11 - 12.12 Big Christmas Sale campaign ambassador at the kickoff event held at Glorietta 2 on October 25, where he made a special appearance and performed Christmas carols to hundreds of mall patrons. 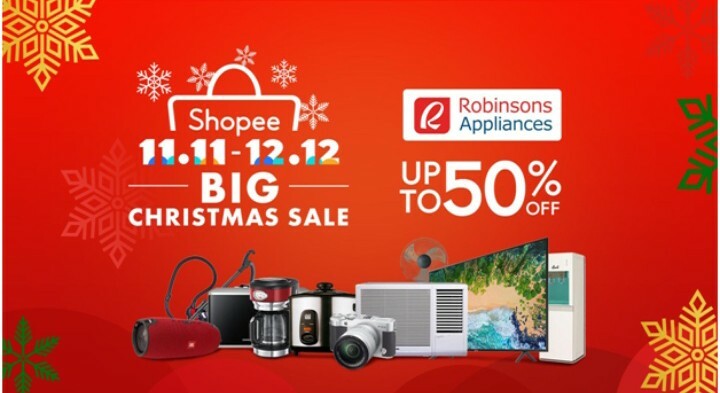 As the face of Shopee 11.11 - 12.12 Big Christmas Sale, Jose Mari Chan also stars in Shopee’s latest Christmas television commercial that will screen nationwide starting October 26. Claiming to be a fearless soul? We all instantaneously muster up the extensive valor to watch scary movies especially during the Halloween season. After all, it is real fun to spook your friends--including yourself, just admit it--to keep up with the chilling atmosphere. Armed with a resourceful (or otherwise) costume and a bag of mouthwatering goodies from your eventful trick or treat, let’s see if you can bare these frightening films alone or with peers during Halloween night! 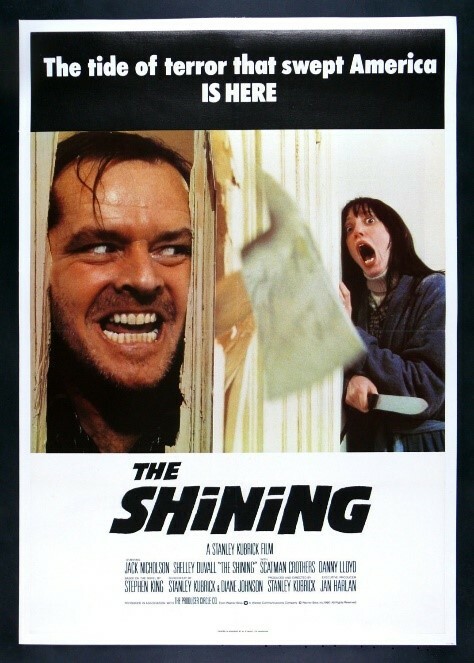 The Shining is a 1980 adaptation of Stephen King’s 1977 illustrious horror novel of the same name. It focuses on a determined writer and recovering alcoholic who works as a custodian at a historic hotel during the off season. He settles in with his wife and son who is besieged by psychic visions. 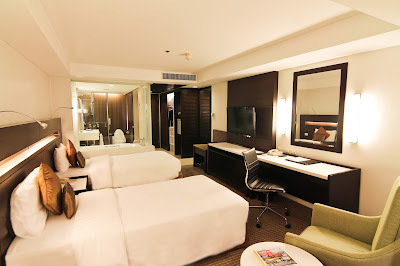 As his son’s premonitions become more difficult, he realizes the hotel's horrifying past and starts turning into a murderous maniac bound to torment his loved ones. The film epitomizes sublime fragments of jump scare: the captivating visuals and musical scoring, the improvisation of the memorable and startling quote: "Here's Johnny! ", and the eerie young twin sisters on the corridor lingered in most people’s nightmares and significantly impressed them. The Shining is hailed by critics, and has become a core of today’s pop culture. Mathematicians at London's King's College utilized statistical figuring in a research mandated by Sky Movies to determine that The Shining was the "perfect scary movie" because of its precise harmony of different aspects such as impact, suspense, and gore. It stars the infamous method actor Jack Nicholson, Shelley Duvall, and Danny Lloyd. The creepy movie trailer may be viewed here: https://www.youtube.com/watch?v=S014oGZiSdI. Stanley Kubrick’s 1980 horror film, “The Shining” is highly regarded to be one the scariest horror films of all time. The Ring is a 1998 Japanese paranormal and mind-altering horror film. Adapted from the 1991 novel of the same name by Koji Suzuki, as well as the Japanese folk tale Banchō Sarayashiki, a Japanese myth of fragmented faith and vows resulting to a desolate fate, the movie centers on a reporter who probes the mystery behind a cursed videotape that kills the watcher 7 days after viewing it. The movie became the highest grossing horror film in Japan, was critically praised by reviewers, and garnered immense following in the West. The unanticipated twist in the story and the never-ending goosebumps caused by “Sadako”, the vengeful ghost with her long straight black hair covering her face and dirty long white dress while crawling out of the static television screen and that spooky phone call with the screeching sound after watching the videotape paved its status as one of the most petrifying films of all time. It generated several follow-ups and started a trend of Western reprises, beginning with the 2002 American version. The haunting movie trailer may be viewed here: https://www.youtube.com/watch?v=WcgCM2FyU8s. The Ring, a 1998 Japanese paranormal and mind-altering horror movie became the highest grossing horror film in Japan, was critically praised by reviewers, and garnered immense following in the West. Get Out is a 2017 American horror film written and directed by comedian Jordan Peele in his directorial debut. It revolves on an African-American photographer who unravels a troubling secret when he meets the “liberal” family of his Caucasian girlfriend. It stars the remarkable British actor Daniel Kaluuya, Allison Williams, and Catherine Keener. The movie is often considered as one of the greatest horror thrillers of modern American cinema. It is a brilliant allegory on racism and is a political satire on post-Obama America. It successfully triggered the trend of smart horror films (cue John Krasinski’s “A Quiet Place”) with low-key but poignant and frightening narratives with a small budget that can still make you think. It instills dread on Hollywood that loves remakes and recycled superheroes. At the 2018 Academy Awards, Get Out won the celebrated Academy Award for Best Original Screenplay. 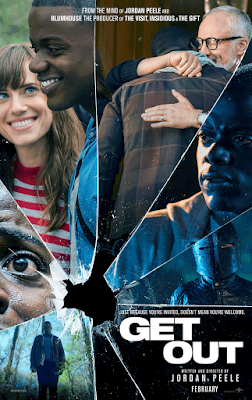 As Peter Bradshaw of The Guardian cleverly summarized: “[Get Out] is a mainstream feature film bold enough, tactless enough, irresponsible enough to invoke race outside the solemn confines of documentary…The point is that Get Out takes pessimism and converts it into defiance – and laughs.” The terrifying movie trailer may be viewed here: https://www.youtube.com/watch?v=DzfpyUB60YY&t=1s. Get Out is a 2017 American horror film often considered as one of the greatest horror thrillers of modern American cinema. It is a brilliant allegory on racism and is a political satire reflecting on post- Obama America. 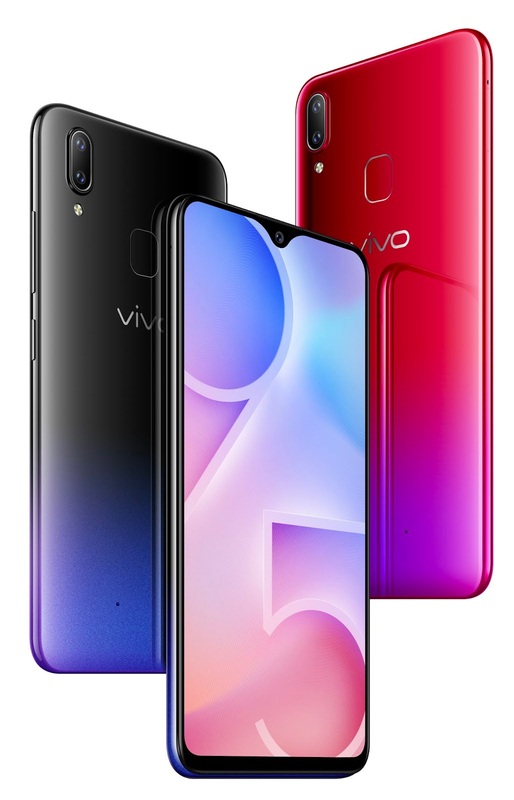 These scary movies are best viewed with Vivo’s futuristic flagship phone, the V11. Your viewing experience will never be interrupted because you will never run out of battery due to its dual engine fast charging battery, which safely refills the large 3400mAh capacity battery at rapid speeds. 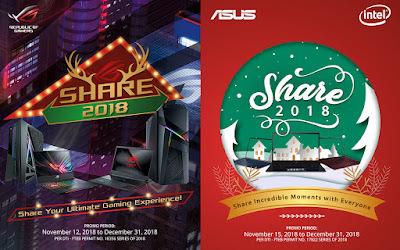 It is also powered by the Snapdragon 660AIE processor with 6GB RAM + 64 ROM, ensuring ultra-smooth performance and the capacity to continuously play heavy video graphics. Supported by the latest Funtouch OS 4.5 (based on Android 8.1) and the global brand’s Jovi (Artificial Intelligence) AI engine, which allocates Central Processing Unit (CPU) and memory resources to enable the smartphone to efficiently handle multiple complex operations. Thus, it is now possible to use other apps while simultaneously watching scary flicks on your smartphone. The V11 also features a Super AMOLED Halo FullView Display which makes films look clearer, richer, and more vivid. One can never escape the disturbing scenes of these movies as the V11’s specs are powerful, riveting, and engaging. With the horror movies that we have suggested and a reliable premium smartphone, you are all set for a memorable and thrilling Halloween night at home. For an immersive and ultra-smooth viewing experience, own a V11 now at only P19,999.00. 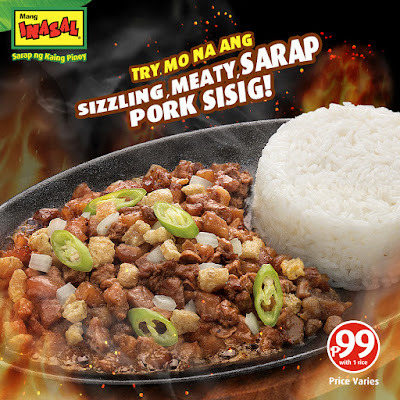 It is available at Vivo kiosks and concept stores nationwide, as well as online via Lazada, Shopee, Argomall, and Akulaku. The Shining: Danko, Meredith. 2018. “25 Things You Might Not Know About The Shining”. http://mentalfloss.com/article/55893/25-things-you-might-not-know-about-shining. October 28, 2018. The Ring: Shelton, Jacob. 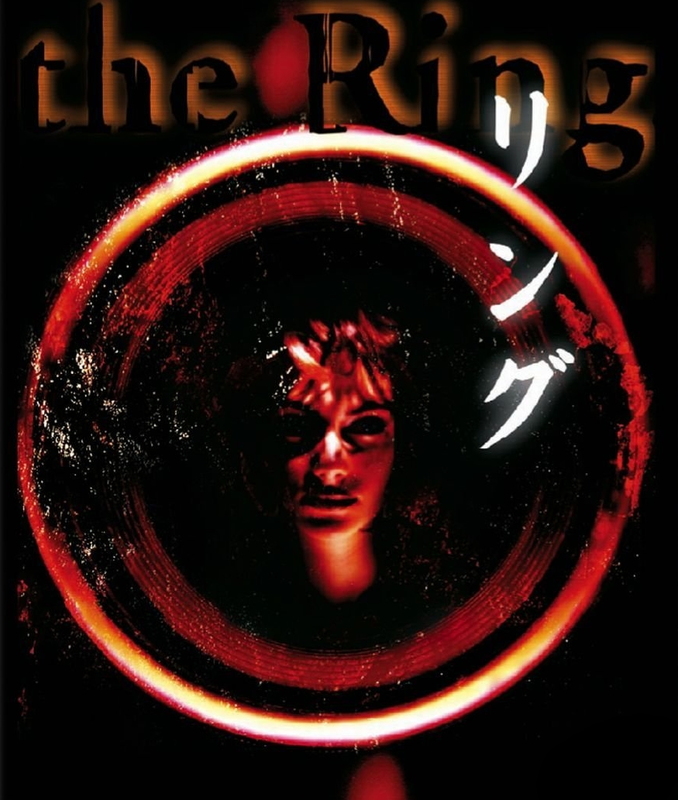 “15 Things You Didn’t Know About the Japanese Version of The Ring”. 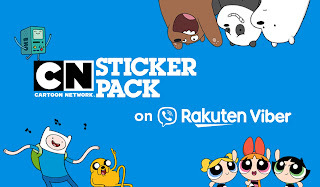 https://www.ranker.com/list/japan-the-ring-behind-the-scenes/jacob-shelton. Get Out: Bradshaw, Peter. 2018. “Why Get Out Should Win the 2018 Best Picture Oscar”. https://www.theguardian.com/film/filmblog/2018/feb/19/get-out-win-2018-best-picture-oscar-jordan-peele. February 19, 2018. So you want to be a rockstar? 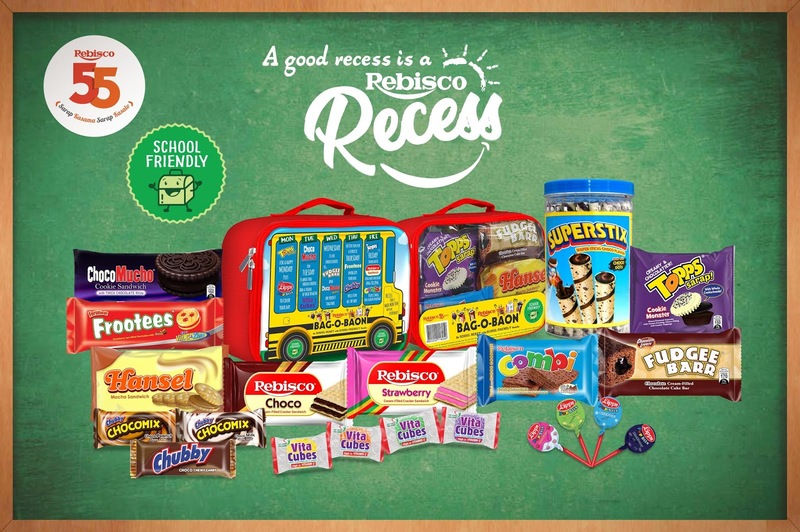 Here's How You Could Be One! 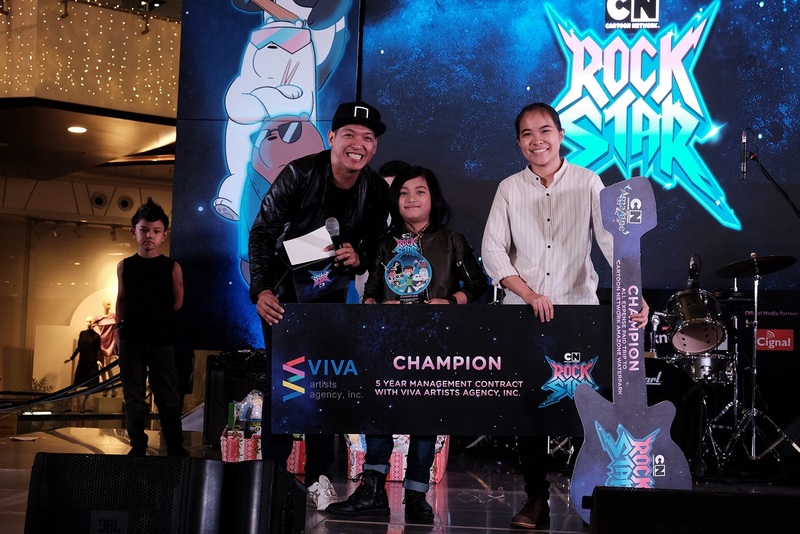 Ever dreamed of becoming a rockstar? With the use of the internet, you can easily be an online sensation—a rockstar in your own right, may it be when belting a powerful karaoke song at the mall, busting a move to some of the coolest hip hop songs or acting in front of the camera. The V11i in Fairy Pink shows the sweet side of the global smartphone brand. 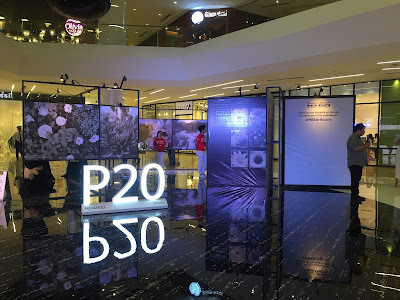 On September 11, global smartphone brand Vivo unveiled its latest offering, the V11, that went beyond expectations with its galactic-inspired color fusion designs: the Nebula and the Starry Night. These invoked the hues of the universe in black, blue, and purple for a fashion-forward, futuristic event. 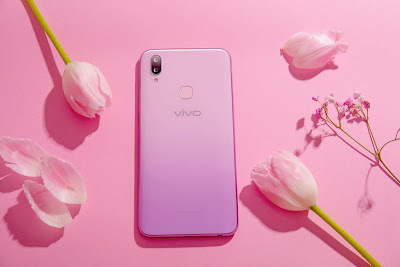 To the surprise of its attendees, Vivo also launched the V11i version of its flagship smartphone on the same night. Philips monitors and display solutions are very known in the world as one of the highest performing innovative monitors for both productivity and gaming. 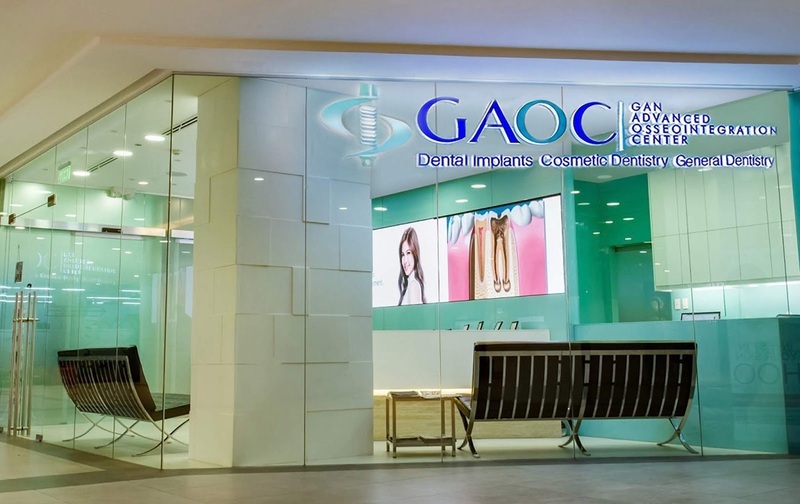 Providing excellent picture quality for professional users is one of the main things that they are known for, especially their energy-saving monitors that reduces carbon footprint and operating costs. With the newest joiner in the industry of transport networks, HYPE Transport Systems, Inc. recently held its first ever HYPE FEST, a gathering of drivers, operators, and the public as they go full swing in its operations to serve the riding public, at the SMX Convention Center, Mall of Asia Complex. 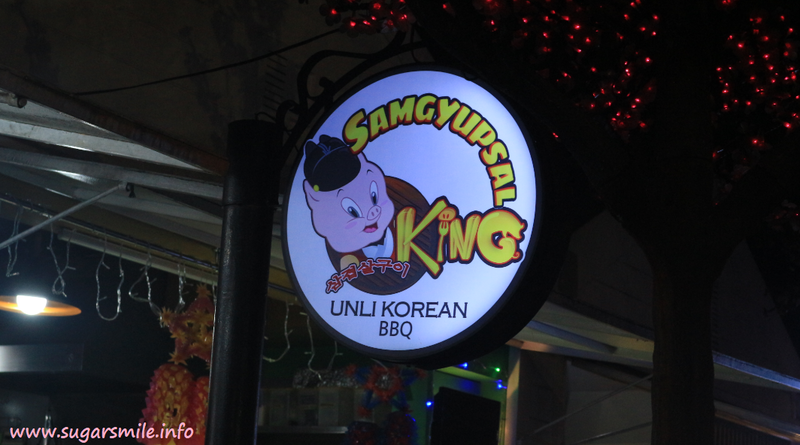 Pasay City. Aging is inevitable. Sooner or later, we will all go through this process and changes in your skin will happen as the years pass. Gravity is also the culprit that causes skin to droop downwards due to its continuous pull on our bodies and facial skin. As such, exposure to UV light or Ultraviolet radiation, breaks down our skin’s connective tissue which speeds the natural aging process and becomes the primary cause of early wrinkling. But you know, aging can be minimized if you just know how. 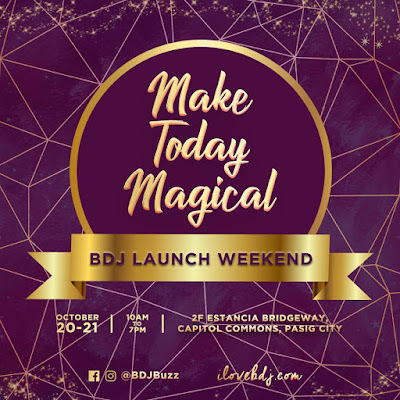 On October 23rd, Little Me Academy will launch the Academe Philippine Online High School (APOHS), the first online open high school designed for Filipino students in grades 7 through 10. This is an effort to provide high school education to the thousands of out-of-school, high-school age Filipinos who lack access because of location, disability, age, finances, and other factors. 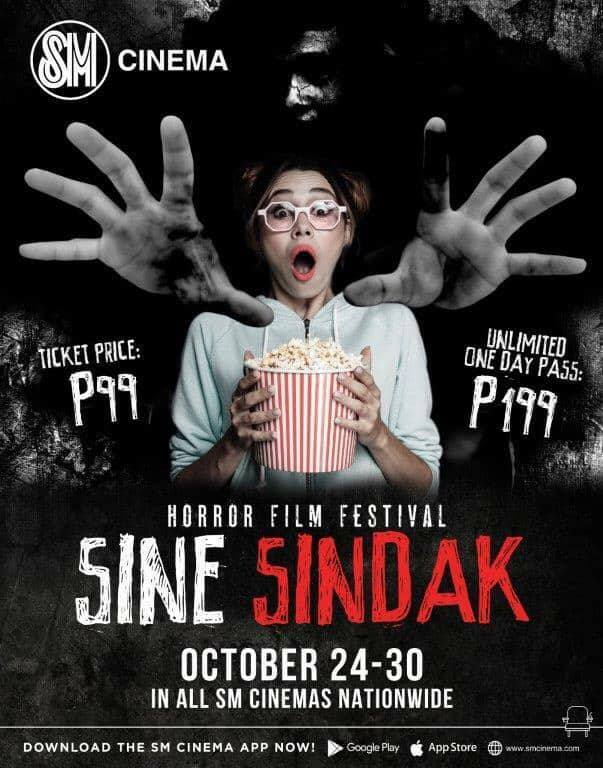 Have a Screamfest in SM Cinema’s 1st Sine-Sindak Horror Film Festival! This coming Halloween, prepare yourselves to be horrified and get ready for your loudest scream as SM Cinema, the largest film exhibitor in the country, together with CrystalSky Multimedia, a key distributor of internationally renowned films, brings you the scariest film fest of the year, the 1st ever Sine-Sindak Horror Film Festival! They say destiny is overrated. Some may say that you make your own destiny, and the future will follow. 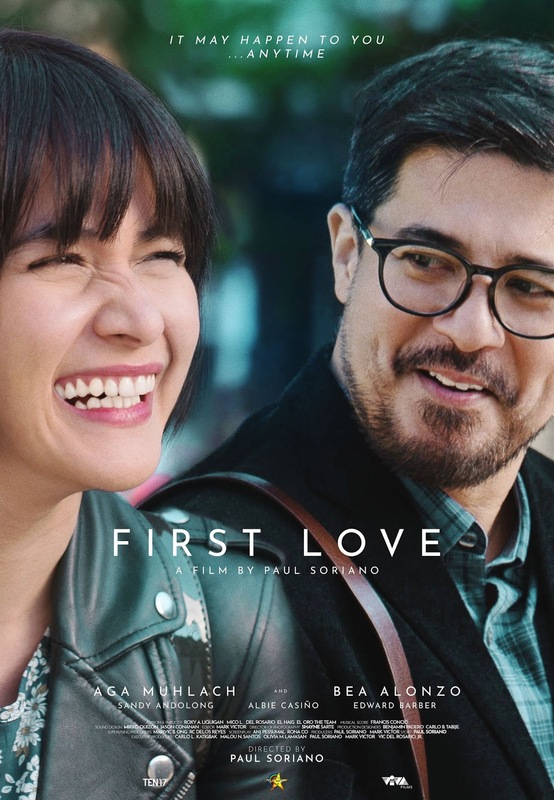 But today, Paul Soriano’s First Love will teach you to believe and follow your heart as it opens in SM Cinema this October. 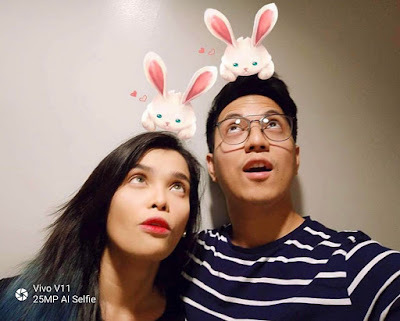 Power couple KZ Tandingan and TJ Monterde play with the cute bunny Augmented Reality (AR) stickers of the Vivo V11. Gaining the massive attention of one’s social media followers through remarkable online pictures has been an ever-growing trend. 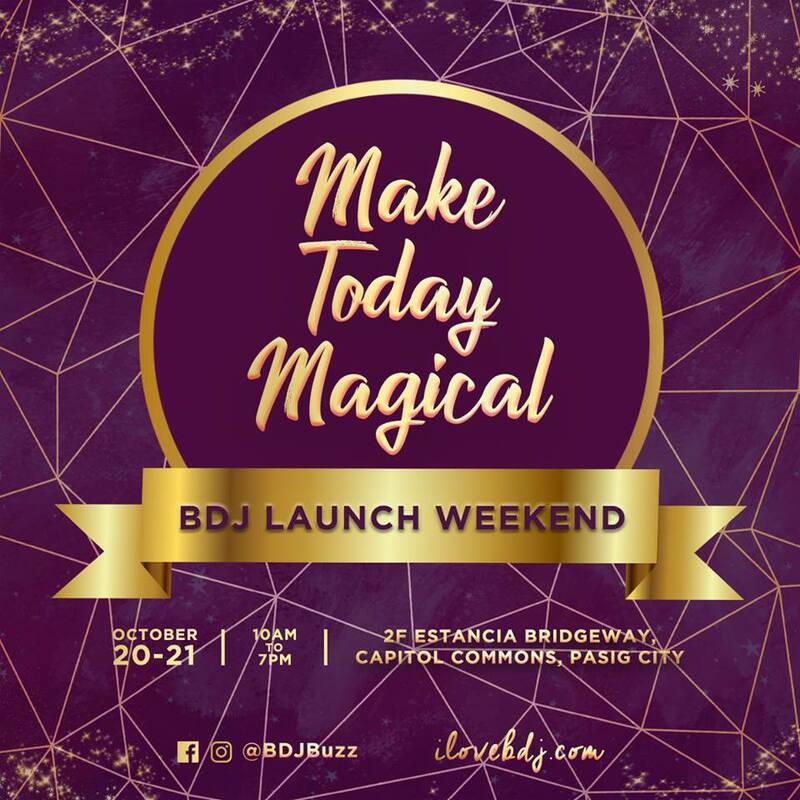 You need to stand out from a multitude of talents and skills nowadays and be creative such as these influential celebrities: BoybandPH members: Joao Constancia, Neil Murillo, and Russell Reyes, as well as power couple, KZ Tandingan and TJ Monterde. 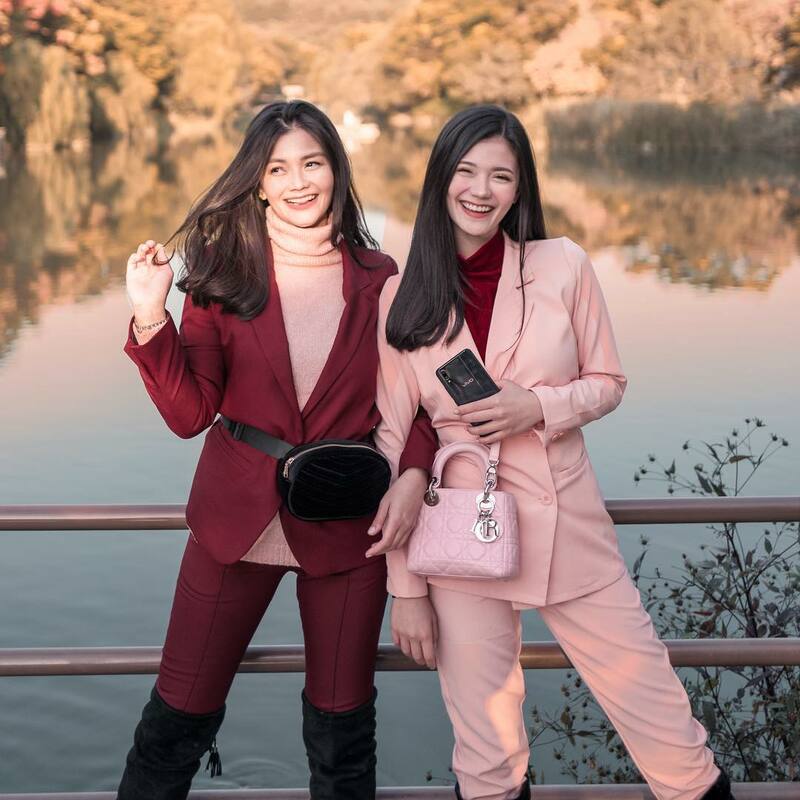 The artistry in their photos has been through Vivo’s latest flagship phone V11, a futuristic breakthrough that is changing the selfie game with its progressive features and functionality such as the Augmented Reality (AR) stickers that make their selfies more attractive and distinct. 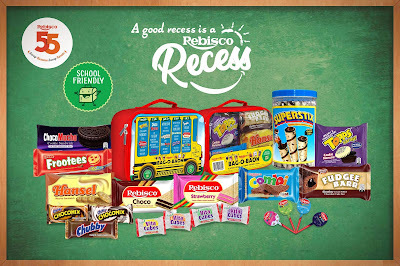 As a school-age kid, what was your favorite part of the day? 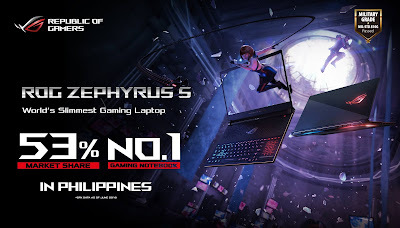 ASUS Republic of Gamers (ROG) today announced the pricing and availability of the ROG Zephyrus S GX531 and ROG Strix GL704 SCAR Edition which set a new milestone for ultrathin and compact gaming laptops.